Oil packed sun dried tomatoes have incredible flavor. It’s one of my favorite ingredients to use along side regular sun dried tomatoes. I’ll use the dry ones when I don’t want the oil, and the oil packed ones when I do want the herbaceous tomato-y olive oil goodness. Both of them are raw vegan by nature and that is very cool! Most Italian households make their own oil packed sun dried tomatoes. When I talk to my Italian friends, they tell me how their Nonna’s or Momma’s made them. Everyone seems to do it similarly. Pack the glass jar with layers of sun dried tomatoes, pinches of minced garlic, basil, oregano, and salt. Fill up the jar, and pour olive oil in until the sun dried tomatoes are completely submerged. That’s it! Too easy, isn’t it? Though it’s traditional to add minced garlic in these, I omitted them from my homemade oil packed sun dried tomato recipe for safety reasons. Here’s the thing about garlic and oil now brace yourself, I’m about to get all scientific-y . It’s not recommended to infuse garlic in oil at home. The reasoning? Botulism, aka food poisoning. Garlic is a low acidic food, and when submerged in oil without oxygen, it could potentially harbor Clostridium Botulinum, the bacteria which causes Botulism. Clostridium Botulinum is an anaerobic bacteria, which means it prefers a non oxygenated environment, which makes oils the perfect breeding ground. Now granted, some Italian families have been making oil packed sun dried tomatoes with garlic for generations and never had a problem. I don’t want to put out a recipe that risks it, so I omitted the garlic and stuck with just the dry herbs and salt. Hope you understand! By the way, the store bought garlic infused oils are safe, they acidify the garlic in their process. 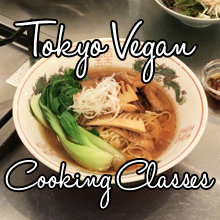 Here is a bit more detail on how to make them at home. Choose an air-tight glass container appropriate for the amount you want to make. 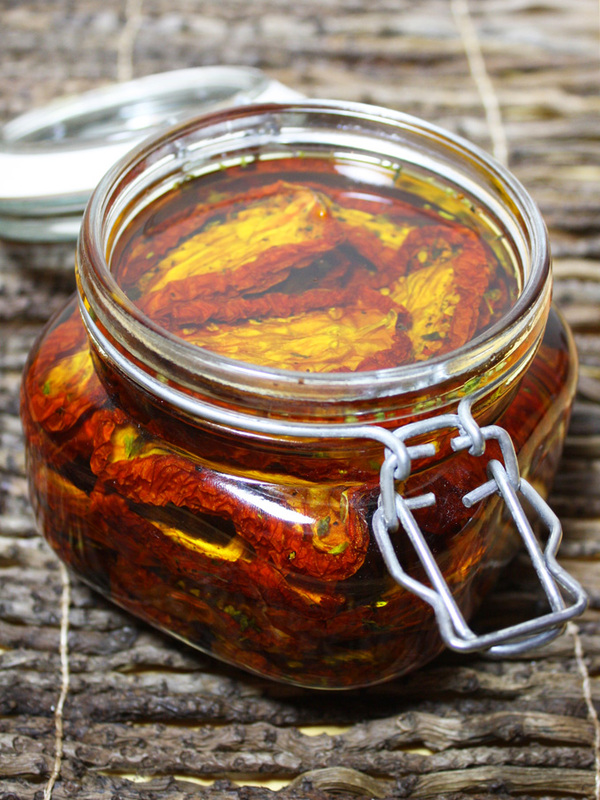 I use a 17oz/0.5ℓ glass, clamp jar for about 2 cups of sun dried tomatoes. Sanitize the jar by washing them thoroughly, then boiling them for at least 10 minutes. Make sure to dry it completely afterwards! Onto packing the jars. 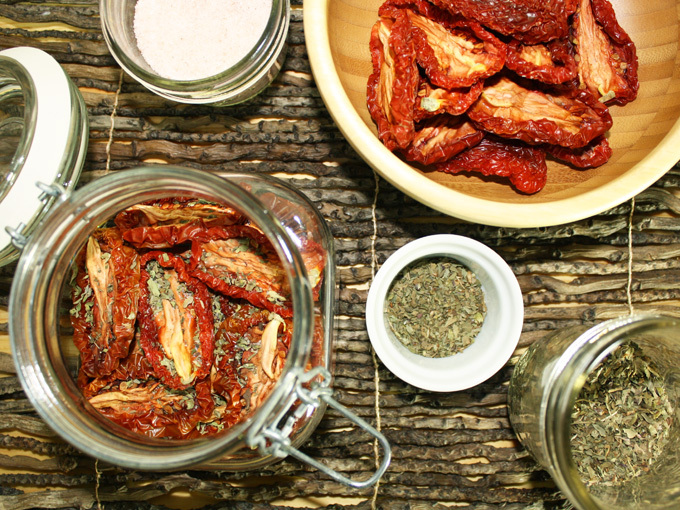 If you have homemade sun dried tomatoes from my recipe, do use them! If not, just use the store bought kind. Line the bottom with a layer of sun dried tomatoes. Then sprinkle a pinch of basil, oregano, and salt. Repeat the process until you come almost to the top of the jar, just leaving an inch of space or so for the olive oil. Once you have the jar packed, pour in a good extra virgin olive oil until the sun dried tomatoes are completely submerged. Close the jar up and let it sit for 1 week, so that the oil takes on the flavors and soften the tomatoes. How beautiful! It’s kitchen decor on its own. Use it in raw pasta sauces, hummus, dips, spreads, you name it! When the sun dried tomatoes are all eaten, I love using the left over oil for Italian dishes instead of olive oil. So much flavor! Don’t buy store bought, just make your own! Choose an air-tight glass container for the amount you want to make. I use a 17oz/0.5ℓ glass clamp jar for about 2 cups of sun dried tomatoes. Sanitize the jar by washing them thoroughly, then boiling them for at least 10 minutes. Make sure to dry it completely afterwards. Line the bottom with a layer of sun dried tomatoes. Then sprinkle a pinch of basil, oregano, and salt. Repeat the process until you come almost to the top of the jar, leaving an inch of space or so for the olive oil. 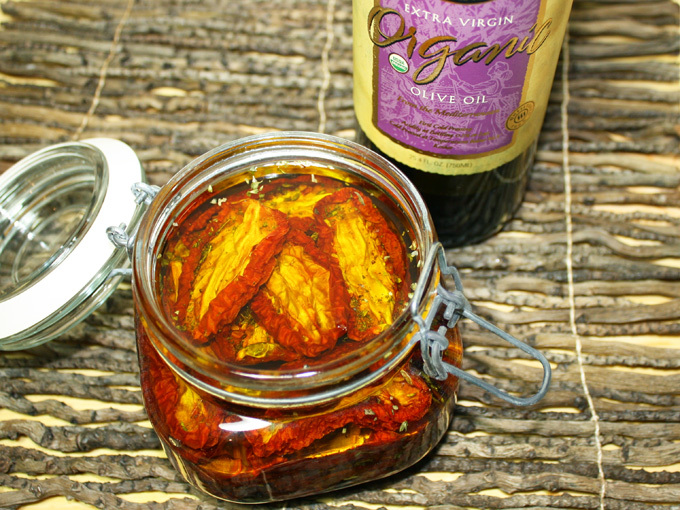 Pour in a good extra virgin olive oil until the sun dried tomatoes are completely submerged. Close the jar up and let it sit for 1 week, so that the oil takes on the flavors and soften the tomatoes. If you are using store bought sun dried tomatoes, the saltiness greatly varies between brands. Adjust the amount of salt you use accordingly. You can cut the sun dried tomatoes into strips before oil packing them if you like. Feel free to increase the amount of herbs to your liking. Refrigerate after opening. Keeps for 6 month. 1. Pilih wadah kaca kedap udara untuk jumlah yang Anda ingin membuat . Saya menggunakan 17oz / 0.5ℓ penjepit kaca jar sekitar 2 cangkir matahari kering tomat . 2. Membersihkan tabung dengan mencucinya sampai bersih, lalu direbus mereka selama setidaknya 10 menit . Pastikan kering sepenuhnya setelah itu. 3. Garis bawah dengan lapisan matahari kering tomat . Kemudian taburi sejumput basil , oregano , dan garam . Ulangi proses ini sampai Anda datang hampir ke puncak jar , meninggalkan 2-3cm ruang atau lebih untuk minyak zaitun . 4. Tuangkan dalam minyak zaitun yang baik tambahan sampai tomat matahari kering benar-benar tenggelam . 5. Tutup botol dan biarkan duduk selama 1 minggu , sehingga minyak mengambil rasa dan melembutkan tomat .